February is often known for snow & cold temperatures… but not in Miami. 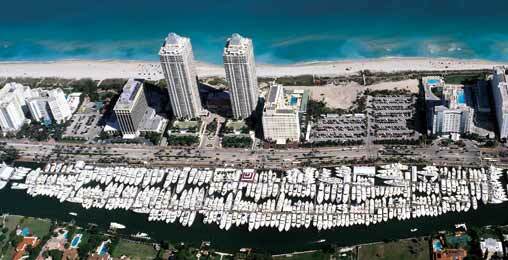 We invite you to head south and meet us at the Miami International Boat Show, February 14-18. This year’s show features over 3,000 boats and 2,000 exhibitors from all around the world. Additionally, seminars and hands-on clinics will be offered for attendees. We will be located at the Cat® Marine Power booth inside the Convention Center, Booth P79 and we’re offering up to 4 complimentary tickets for gplink customers! For more information about the show visit www.miamiboatshow.com. We hope to see you in Miami! The response to our service was very enthusiastic at the Miami International Boat Show, and as such we have a lot of plans to implement subsequent phases of the gplink service. We’re doing our best to listen to initial feedback and plan our offerings based on the needs we have perceived in the marketplace. One of the areas where we are prepared to leap ahead of the competition is the deep integration of our monitoring service to the electronic & mechanical systems of your Cat® engines. 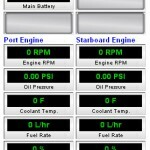 All of which we feel our invaluable tools to owners looking to remotely monitor their yacht’s current operation & status. One of the truly great things about developing a software-as-a-service company, is there really is no ceiling on the additional features and benefits we can roll out over the course of our customers’ subscriptions to gplink, and we plan to take full advantage of that strategy.